Miss Liu Hui is mainly in charge of the daily operation of Glory Tour, a platform of industries and resources integration under Glory Ventures. Glory Tour is dedicated to providing a deep and international platform for the communication and training of Chinese entrepreneurs including the executives of listed companies in both the emerging fields and those attached great importance by Glory Ventures like Internet of Things, Intelligent Hardware, Fintech, Artificial Intelligence, Enterprise Software, etc., and achieving a deep integration of the primary and secondary market by bridging cross-border resources. Miss Liu Hui used to be a member of MICI, the largest overseas study tour provider in China, and stayed in Silicon Valley. She possessed a strong international view and plenty of industrial resources in Silicon Valley, knows the entrepreneurial and innovative ecology in Silicon Valley well and design training programs of innovation in Silicon Valley for leading business schools and industrial organizations in China and ensure their smooth implementation. 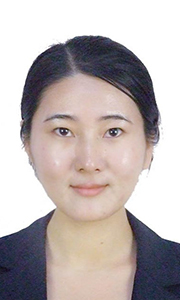 Miss Liu Hui has a master degree in English Translation and Interpretation from Shandong University and a bachelor degree in Public Administration from Ocean University of China.